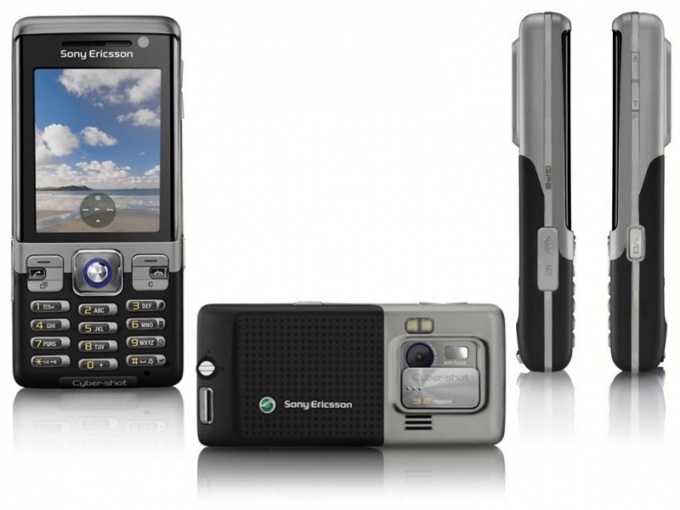 Mobile phones, currently sold, have many additional functions, such as shooting photos and videos, watching videos, listening to radio and music. To increase the volume of the music you listen to on your mobile phone, you can use one of several simple ways. First, use the equalizer on your mobile phone. In all phones that can play mp3 files on the player in which the adjustment of the frequency of the playback. Setting them on high, you will achieve increase volume twenty to twenty-five percent. Carry out this step, then proceed to the next step. To increase the playback volume you can adjust the volume of the original track. For this you can use either the software that enables the increase in the volume of several compositions at once, or use a specialized audio editor. The most simple program to increase the sound from multiple tracks at once is Mp3Gain. Run this app, and then add to the queue, edit the tracks, designed to play on the phone. Set the desired volume increase and test the result. Then, apply the setting and save all the tracks as copies of the original. For music editing with audio editor you can use Adobe Audition or Sony Sound Forge. These applications have high functionality and quality of compression that is sufficient for editing without quality loss. Download the file to workspace and then select it. Then go to "Effects" and select the effect "Graphic equalizer". Adjust it so that the frequency was increased. If you are going to use the melody for a ringtone, you'll need to increase the high and mid frequencies. After that, apply the changes, and use the effects of "volume up" or "Normalization" to increase the playback volume. Do increase volume incrementally, by five percent in every step and listen to the result. After reaching the desired volume, save the track as copy source and copy to the mobile. Depending on the situation, the owner of the phone puts the phone to silent or loud to focus on the theme of the conference or, on the contrary, do not miss an important call while walking with friends. In any case, the volume setting is changed in the General menu of the phone. Turn the phone on and activate the keyboard. If he's folding, just fold it, if not – remove the lock. Open the menu of the phone. Locate the folder "audio Settings". Sometimes it is placed in a shared folder "Settings phone" or "Settings". Scroll through the list using the keys "up-down" to the line "Volume call". Click and pressing the "Up" increase the volume to the desired level. Save the settings and go to the folder "audio Settings"
Scroll through the list adjusting the volume of the keyboard, incoming SMS, and other signals. At the end of the volume changes, save the settings and close the menu. Check the settings. You can also change the phone volume, changing the mode of operation. It is in General menu, then "phone Settings" - "Mode". Set the loud mode, then activate. The volume of the phone changes from zero in the meetings and negotiations to the maximum during the informal walks and other moments when you are waiting for a call, and he won't bother you and your buddies. Change the volume is configured, like most functions of the phone, through the General menu. Open menu. Next, open the folder "audio Settings". Sometimes this folder is nested in transitional Settings " phone" or just "Settings". Moving buttons (up / down or left / right arrow, locate and select the line "Volume of the phone". Open it. The "up" button raise the volume to the optimum level. Press "Yes" and exit the settings. In some phones volume setting is controlled by the side buttons marked with arrows or with the keyboard during a call (right-left). 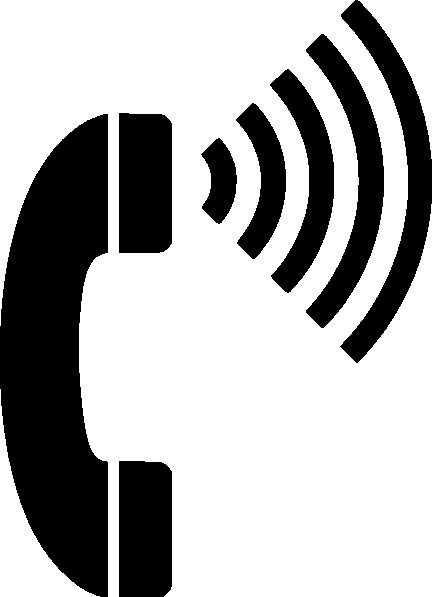 If the phone received a call, but when answering you can't hear your interlocutor, you should spend a number of volume settings on the mobile device. There is also a sequence of actions in order to add the volume for the best sounding music player. Click on the "Menu" button in cell phone. Select the tab "Settings" and press select. Find the next tab "phone setup" and press again select. Browse down using the top or bottom arrow on a telephone keypad, and locate the tab "Volume and sound". Now move the timeline using the arrows to select the volume and press Save or apply settings for your phone. Never place the phone ring and the sound when talking at full volume. It is harmful for the human body, but also in the time of the conversation, many will be able to hear your conversation. When you call, but when answering you can't hear your interlocutor, you can quickly adjust the volume. To do this, press the top side key, which stands for dynamics, and you will immediately get the desired result. If you think your headphones sound very quiet, and to buy expensive professional headphones you are not yet ready, come to the aid of a special external device that will make the headphones louder. To make headphones louder, get an inexpensive headphone amplifier. Such a device is suitable for almost all standard models and is quite inexpensive. Check the connection of your headphone's 1/8 or ? inch Jack. If your headphones connect via mini Jack, you will need to buy an adapter. Maybe he was even attached to your headphones, you should check their equipment. Turn the volume knob on your amplifier to zero and connect it to the headphones. And to the amplifier connect the sound channel player or computer. Turn on the music and gradually increase the volume on the amplifier until you reach the desired volume. 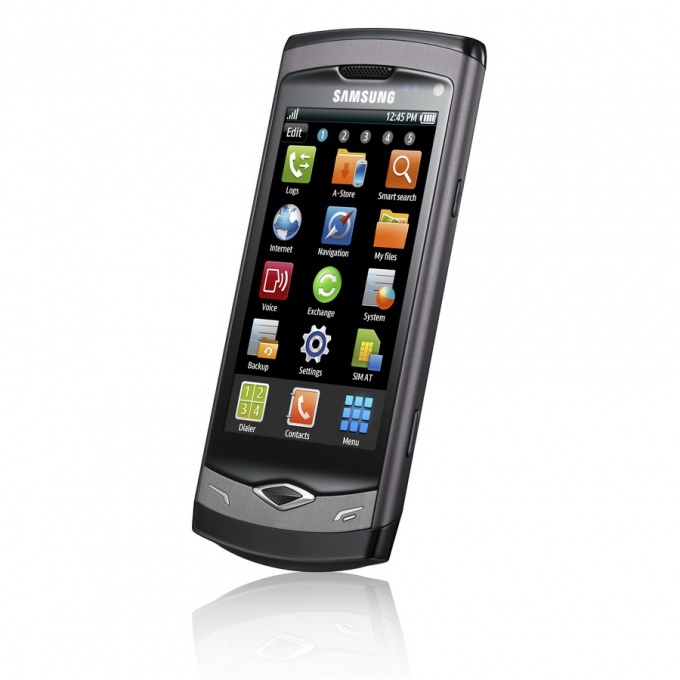 Many models of phones Samsung have good design and bright, clear screen. The only drawback in some cases it is possible to designate not loud enough the sound of the call. To increase the sound established tunes, use a few simple recommendations. To make the sound loud, you must increase the volume of the original audio and to process the resulting audio file. This requires an audio editor. Optimum are editors such as Adobe Audition or Sony Sound Forge. 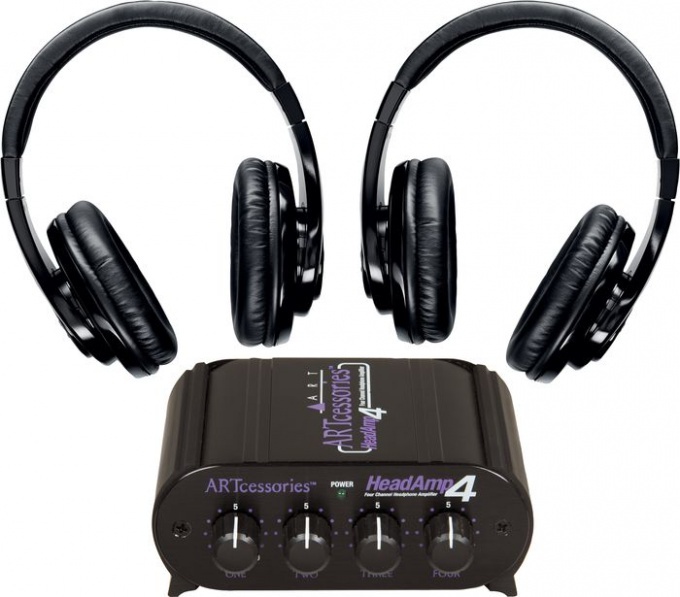 They have sufficient functionality and high quality processing, which makes them ideal for processing sound. You can find them on the web using a search engine. Download and install your chosen audio editor, then run it and open the file in it. First, determine the beginning and end of the melody that you want to create. Set the slider editor at the beginning of the future ringtones and scroll all the way to the open track. Click on the "delete" button. After that, set the slider at the end for future melody and retry the operation. Listen to the melody, to make sure that you cut the track exactly as you wanted. Highlight the track and use the graphic equalizer to tailor the resulting tone to your cell phone. The fact that the dynamics of mobile high and middle tunes are played normally, while low frequencies are not reproduced or reproduced badly. Reduce the low frequencies as possible so that the transition between low and high frequencies as seamless as possible. Use normalization to maximize the sound. Select the track, then use the effect of "Normalization" or "volume up". Increase by ten percent, then every time you listen to the track as possible while maintaining each increase separately. Copy the tracks to the handset and test each of them. Listen to tracks on the subject of euphony and choose the one you like the most. Delete all the tracks that were not enough, or too loud, and use the one that meets the necessary volume of sound. Often you can see both the phone company "Samsung" the melody sounds not the way it sounded on the computer, especially on thin models. To increase the volume of the melodies is enough to handle the melody using a few simple steps. To process a melody, you will need an audio editor. The most optimal would be to use audio editors such as Sony Sound Forge or Adobe Audition. 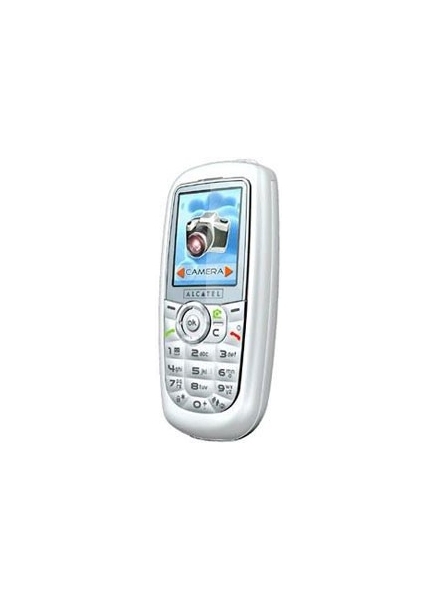 These audio editors have a high functionality in order to process a ringtone for your mobile phone. You can find it with a search engine. Download, install and run the program you have chosen, and then download the file. You define the start and end of the track, and then set the slider to the beginning of the future ringtones and select this segment. Click on the "delete" button, and then perform the same operation by selecting the interval from the end for future melody until the end of the edited track. Listen to the result and verify that the track is exactly the melody you wanted to put on mobile. Select the track, then the sound with the graphic equalizer. Highlight the entire track, and then look in the tab "Effects" paragraph "Graphic equalizer". Maximize high frequency, reducing low. After each change of level listen the track, to make sure it is the euphony. Reaching the desired result, click on the "Apply"button. Increase the volume of the track using the effect of "Normalization" or "Increase volume". Increase the volume by five percent until until you discern a violation of euphony. Save copies of the track after each step. Once editing is complete, copy all the tracks to your phone.euphony. You can do this by syncing the phone with the computer using a date cable or using card reader if your phone supports memory cards. Test the resulting tracks and choose the best sounding. 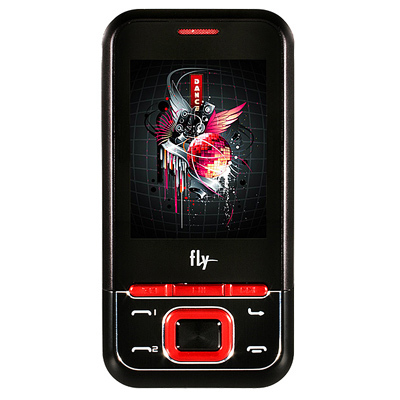 The phone company Fly primarily distinguished by their price. 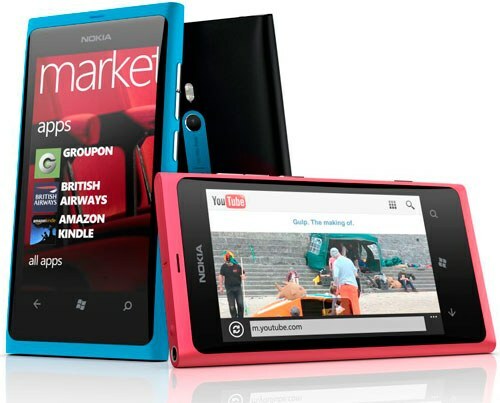 Being in the budget price segment, these devices also boast a memory card, and mp3 playback capability. Unfortunately, the low price affects the quality of speaker and quality of playback. This deficiency is easy to fix. The safest option that does not require intervention in the firmware and the factory settings of the phone is changing the volume directly audio track you want to listen on your phone. Ways that affect the engineering menu, dangerous because it can cause damage as firmware and dynamics of the cellular phone. If multiple tracks, you can use a tool like Mp3Gain. It is free. Find and download it online. After installation, add artboard tracks that you want to edit. Select the volume to which you want to raise the initial level of sound. Be careful and don't put the value directly to the maximum selected frequency can be lubricated. This program is useful because it allows you with one click process multiple files at once. Bad thing is that it is difficult to assess the level at which you need to raise the sound. For single tracks is the most preferred treatment would be to use Adobe Audition or Sony Sound Forge 2. The data editors have functionality sufficient for high-quality processing of the track. Download and install one of these editors. Run the program, then drag the file for editing in the workspace. Wait for the download of the track, and then scroll to it throughout its length. Use the effect of "increase volume", periodically testing the result is harmony. After optimal volume, normalize the track. To adapt tunes under the bell you can also use the graphic equalizer. Minimize low-frequency, parallel reinforcing high. Speaker mobile phone is not adapted for reproduction of low frequencies, as well as by increasing the volume of the track evenly and increase low and high frequencies, there is a need to reduce the low frequency sound after the increase in the total volume of the melody. 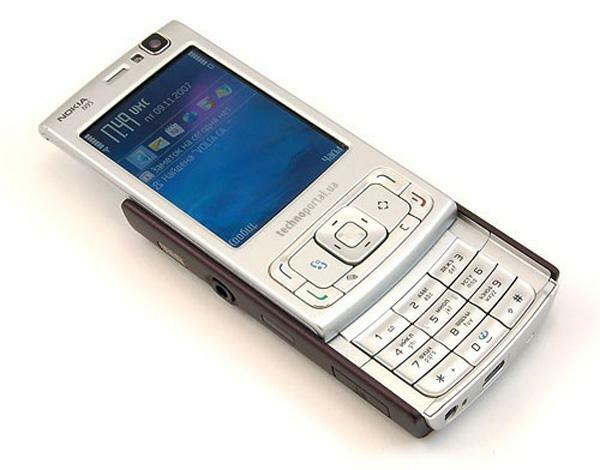 Often it is possible to notice that the most loud and clear phones "Nokia" are not copied mp3 files, and predefined melodies. This is due to the fact that their tone is ideal for the dynamics of who plays them, unlike the ordinary tracks. However, there is a possibility of adapting the music to a speaker cell phone. To edit a track, you will need an audio editor. The most convenient and suitable are Adobe Audition and Sony Sound Forge. They have a set of functions sufficient to complete adaptation of the track to playback through the speaker phone. Download and install one of them. Launch the audio editor. Open the file you want to edit or using the menu "File" or dragging it to the artboard. Cut the track to the segment should sound in tune. To do this, select those pieces that is unnecessary and remove them. Save the result, and then re-open it for editing. Select the entire track and using the menu "Effects" to open the graphic equalizer. With this effect you can change the playback range of frequencies in a separate track, increasing some and reducing others. As a speaker of a cellular phone designed to play high, not low frequencies, change the playback range. Minimize the low frequencies and amplify high and medium. Listen to the track on the subject of euphony. Low frequency should not be heard, and the high and medium needs to be clear and distinct. Cellular communication is created for the convenience of communication between people. Therefore, it is important that the correct choice suitable for you phone and correct it set up. 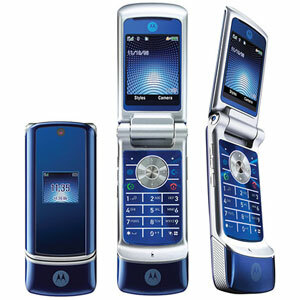 Usually the phones are sold with customized levels of speaker and microphone. However, the level required for comfortable perception, each person is different. Therefore there is a need to increase or decrease the sound volume, microphone level, etc., that is, the settings of the phone. Configure the phone using the menu. This method is the most effective, however, those who are not familiar with electronic appliances, it is better to entrust the phone to experts. Every phone has a engineering menu settings. To sign in to use a special code, different for different phone models. This code typically known in the art or can find it online. Enter the code on the keyboard and log in engineering menu of your phone. Locate the sections responsible for the sound: "audio", then "normal mode", then "speech". After this you will see a list of levels from 0 to 6. This levels of speaker volume. Remember, better write down the original settings. The volume levels are set in the range from 175 to 255, in increments of 10 units. This means that the Volume 0 will have a value of 175, and Volume 6 is 255. A larger value set is not recommended. Please note that a change in the volume settings of the phone to change the sensitivity settings of the microphone. And microphone settings are adjusted in the opposite values. The more the volume, the less the sensitivity of the microphone. Otherwise, the MIC will issue the echo, you will hear yourself or other unpleasant effects. After successfully establishing the desired volume, press OK, then save the updates. Reboot your phone (turn off then turn on). Sometimes this configuration is unacceptable, some phones can't be reset in the engineering menu. In this case, there are special programs to customize your phone. Such programs also are released by manufacturers phones. You can find them in the services or the Internet. Download the program to your computer. Connect your phone with USB cable with computer. Following the program commands, select menu settings phone volume, change the settings according to your requirements. Normally the program settings are quite affordable and intuitive interface, so do not cause difficulties for users. Great speaker volume – it is certainly good, but not always. Sometimes, when not helping built-in volume control, you can resort to the so-called lifehackers methods and reduce the speaker volume independently. Such methods invented many, but here are some of them. Set the volume level of the speakers on the computer at a minimum, go in the special menu. Go to "start", select "control Panel". A separate window opens control panel, where you should find the icon "Sounds and audio devices". Go into it and select "Volume." Set an acceptable volume level and click "OK". 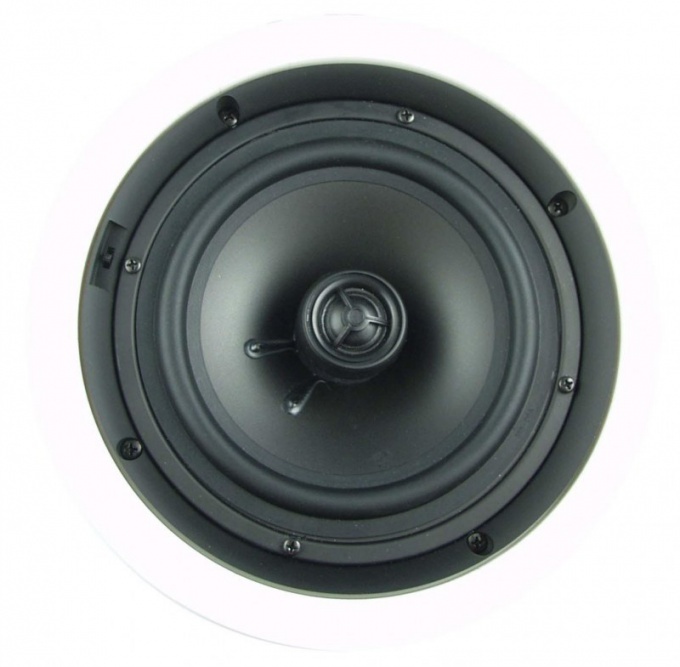 Get a resistance of about 100 Ohms with a power of about 1-2 Watts, and connect in series with the speakers. Voltage resistance will interact with the audio playback and allow you to decrease the volume. You can also buy it in specialized shops nichrome spiral 1.0 to 0.5 kW and to make it extra resistance. Solder the resistor to one wire that goes from the amplifier to the speaker. After that speaker will sound a bit quieter. This option is available only when a fixed volume, if not always increase and not decrease. Purchase a couple of dozen maroondah resistors in 5-10 Ohms and connect them in parallel. Ten parallel resistors by 10 Ohm will yield 1 Ohm. It is the total power. 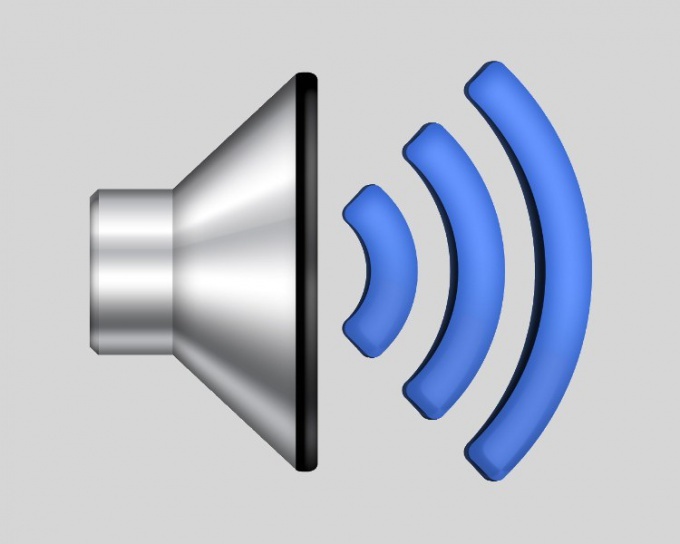 Download online a special tool to adjust the sound volume. It will help you to increase/decrease or normalize sound in a separate file or group of files. To do this, open the file, the sound level which should be changed. Write in the window of utility required sound level, and the program automatically converts these files. Changes can be canceled and volume levels will return to their original state. Box disassemble the column and pull out the speaker. Tension between the speaker and the hole for sound output (there is usually a special mesh fabric) piece of dense matter (if there is foam, you can use it). The speaker volume of the mobile phone can be increased in several ways. However, it is best not to do it yourself and provide your mobile device to set up service centers. Adjust the volume level auditory dynamics in a conversation with another subscriber, clicking the side arrow button up or by using the joystick of your phone. Adjusts the volume level of the call can be accessed from the menus of your mobile in the basic settings. The volume level of the ringtone, you can customize the sound themes of the phone, edit the active profile, in control panel, and so on. If the maximum speaker volume during a conversation you are not satisfied, use the service codes that increase the audibility. Please note that you need to determine the necessity of this action, it is possible that bad audio can be the reason for the poor cell phone signal or poor microphone of your interlocutor. Review the service codes for your cell phone on various forums. For each model mobile device may provide its engineering code. Find the one that increases the speaker volume above the maximum level. It is available for most phones which have a maximum speaker volume is insufficient to maintain the normal hearing range of the subscriber. It is best not to use these codes to increase the volume of the ringing tone of an incoming call, in most cases it leads to damage to the mobile device. Please contact the special service centers, which will help you to increase the volume level auditory dynamics of your phone. In some cases, you may need to even replace it. Please note that for this action you must be sure that the reason for the hard of hearing is in your phone. 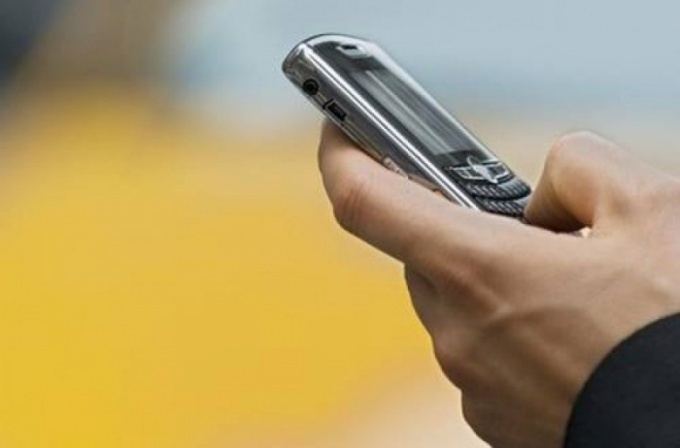 The use of service codes can harm your mobile device. Not always the level of speaker volume to suit mobile phone users. This parameter can be controlled by adjusting the corresponding menu. If you change the settings the volume is not changed, the part has to be replaced. Go to settings sound themes or settings for the current mode calls. Configure the maximum ringing volume of incoming calls. If your phone uses different speakers to talk to, and to signal incoming calls and messages, not to confuse the settings. In the standby mode of phone click the up arrow on the side of your phone if available in your model. Also the speaker volume can be adjusted with the joystick in some older models. In challenge mode the volume is adjustable in the same way. To enhance the speaker volume query the service codes for your phone model, find the one that provides access to sound settings outside the allowable threshold built-in software. It is best not to use this method, since, in most cases, this leads to breakage of the speaker in the phone. Also pay attention to the difference service codes for different models, sometimes they can be the same for the same manufacturer, and sometimes the wrong can not access those settings. Please note that to confirm the operation most likely need to enter a security code of the phone, which is the default in most cases, 00000, 12345 and so on. Please contact the relevant service center on repair of phones and make them change the dynamics of the camera, putting on a low volume level. It will be the best solution to the problem. Among service centers choose the services of only those on their operation and new part phone installs the warranty period. Also do not use the services unknown services. Without having use of the engineering codes for your phone. 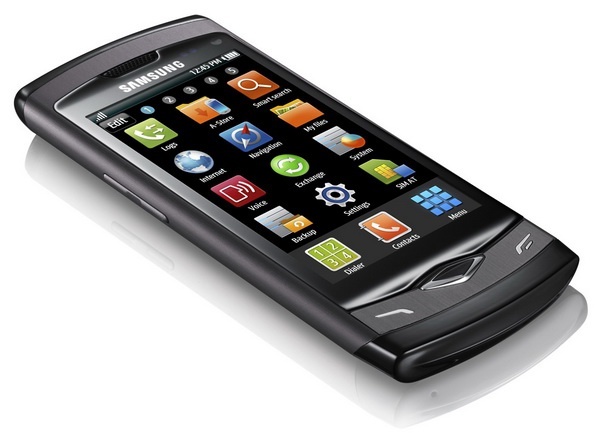 Mobile appliances, Samsung has always had a high sound quality playable tunes, but some devices, particularly music players, lacks the desired volume. Samsung audio player YP series. So the players in this series do not differ much from their counterparts, the standard volume of playable songs is not too high. To improve this parameter usually resort to one of two options: install new software (firmware) or software to edit the settings, if possible. If the first technique to use to have a pretty rare piercing technology is a danger, the second method is used more often. Regardless of the version of the software in your player, edit the system settings in every model. First of all, you need to turn on the player, you can do this by long pressing the Power button, which is on the right side of the player. After a few seconds the screen will display the splash screen and main menu, navigate to the line "Settings" and press the middle button on the joystick. Stop allocation on the line "Music" and open this item. In this list there are several items that will help to increase the overall volume. First, it is a "Mode "Street" (choose the option "On"), and secondly, DNSe (select "Self EQ") and, third, the "custom EQ". Apart from them is the "custom equalizer", because sound quality depends on the settings. Here a matter of taste, but is preferably configured as follows: equalizer curve should resemble a tick V. If the first and the last column need to set to almost maximum, then the average will be approximately in the middle (marked "5"). To save the EQ settings press the middle button on the joystick and select the "Yes" answer the next question. Now you can listen to music at a good volume. One of the most common problems in many Android devices — low speaker volume during a call or listening to music. Special programs all the shortcomings can be solved in a couple of minutes. From the desktop log in the main menu and locate the shortcut to "sound Profiles". There is one little nuance - every Android your personal security. Depending ON label "Sound" appears immediately in the menu or under "Settings". Then in the dropdown box select "sound Profiles". Then the page displays a list of existing standard profiles including select. Next, find the option "alarm sound" or "sound volume" and select the desired power. To change the sound volume and using the special buttons. Each number on the housing has keys to adjust the sound. Depending on the model, they are either with the right or left side of the device. To change the volume level enough to translate the display in desktop mode and side keys (up, down) to expose the sound to the desired sound. Among other things. 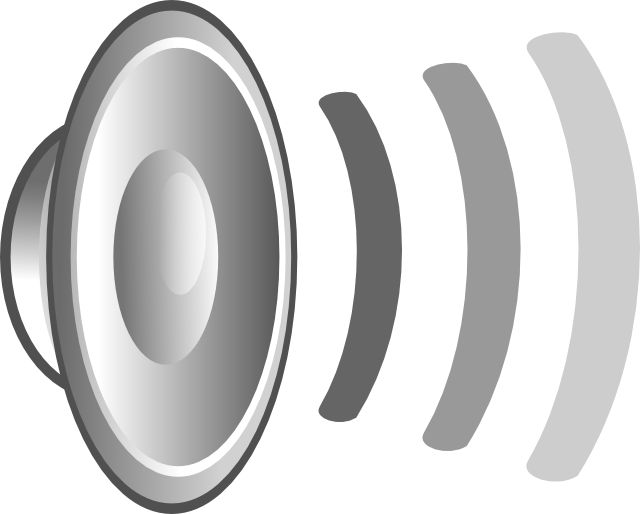 There are plenty of useful programs that help make the sound more loud and clear. Among them - the Volume Control, Increasing Ring, Louder Volume Hack, and others. So, Volume Control is useful for changing all the volume settings on one screen, allows you to bypass the factory restrictions of volume, there is a possibility of loading and saving settings profiles. App Increasing Ring also contributes to the volume of the speakers. But this program has one small flaw – there is no Russian interface, but there and so all is clear. Louder Volume Hack will be useful for those who have previously flashed your phone. The program includes five ways to change the volume available for sound effects. The disadvantage of the program is that for it to function, the user must have root privileges. By the way, greatly facilitate the application by making a Backup of the original settings. Volum+ – one of the latest and best software which will help to increase the volume of the sound, and in General to improve the frequency of the sound. Volum+ for sure works on HTC Desire HD, HTC Incredible, HTC Desire Z, HTC Wildfire S, HTC Desire S, HTC Sensanion, HTC Sensation XE, SE Xperia Arc, HTC Evo 4G, HTC Inspire, Droid X, Galaxy S II, Galaxy Gio, Galaxy Ace, Galaxy Tab, Samsung Galaxy S, LG GT540, Nexus S, Sony Ericsson XPERIA X10 Mini Pro, Lg Optimus 2x, Nexus One, ZTE Blade and Sony Ericsson Xperia Mini ST15i, T-Mobile Touch HD2, Asus Transformer, Orange San Francisco, T-Mobile G2x, Acer Liquid mt. 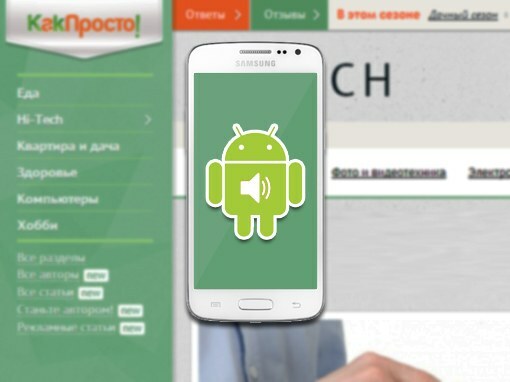 Increases the volume for Android the program AlsaMixer. It is suitable for users who are not very happy with the volume and sound quality of their devices, as it allows to increase the volume on the device without affecting functionality of the speaker apparatus, and is economical to run out of battery. 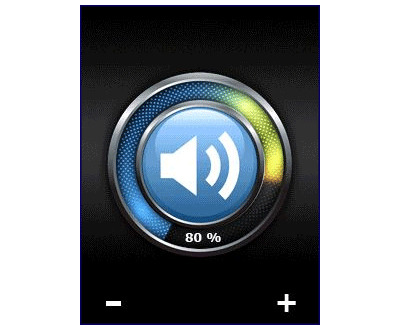 For easy and quick volume control in Android phones and tablets will help the program AudioManager Pro. Convenient to adjust the sound on your Android device allows you program Volum X. As can be seen from the foregoing specially designed for volume applications enough. It is only important to choose the most comfortable and functional. Installing one of these programs, each owner of the devices on the Android platform can enjoy clean, loud and quality sound ringtones. But remember, choose the volume is accurate. Maximum values should not create any problems with the sound. Usually not recommended to put the highest values, as this may cause interference in the sound and will create an additional burden on the dynamics. Excessive volume leads to rapid deterioration and rattling speaker. 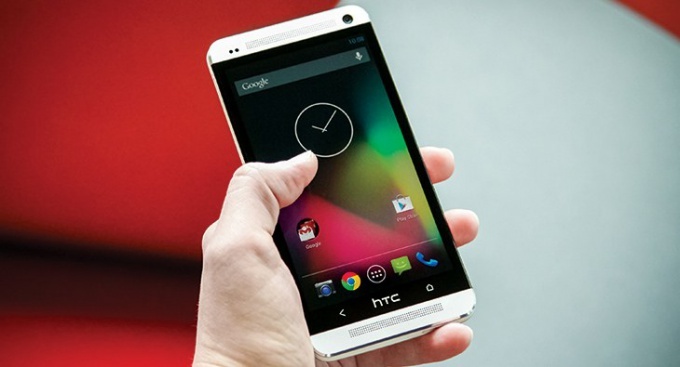 Owners of phones running the Android operating system, sometimes faced with the problem of insufficient call volume. Low volume is often linked with the software limitation of the Android platform, as well as with the manufacturer's settings of the phone. The problem can be solved in several ways. A method to increase the call volume via the audio settings is applicable to those cases where the phone or tablet independently makes adjustments to the sound settings when connecting a headset or headphones. It often happens that the phone does not return to the selected volume when removing the headphone plug. In this case, the user has to restore optimal value using the volume keys. Instead of repeating this procedure each time you disconnect a headset or headphones, perform the following steps. Go to settings on your tablet or phone, and select "Audio". In the opened settings menu, locate and select "auto ringer volume". Disabling the option "auto ringer volume" you get all the standard volume settings that will not change when connecting/disconnecting the headphone or headset. Adjust the ringer volume via the "Engineering menu". To enter on your phone or tablet in the so-called "menu Engineering", you must use the telephone keyboard to input the following character sequence *#*#3646633#*#* and press the call button. In the opened menu, find "Audio" and navigate to "Normal Mode". In this section, select "Type", then select "Tone". Under "Value" set optimal ringer volume. In order to exit the engineering menu, you must click on the off button of the phone. Using the method of setting the ringer volume on your phone via the engineering menu, you should not attempt to change the settings "Type Side tone". Changes to this item, you run the risk of completely losing audibility at conversation with the interlocutor. It is recommended in any case not to carry out any further manipulation to the engineering menu, if you are unsure, or do not fully own the information about their result. Otherwise there is a risk to the unit is switched off, and in the future to take an unplanned walk in the nearest service center. Remember: all changes to settings via the engineering menu, you do so at your own risk. In addition to these methods, you can maximize the ringer volume mode "In the pocket". Changing this mode is available in the section "audio Settings".